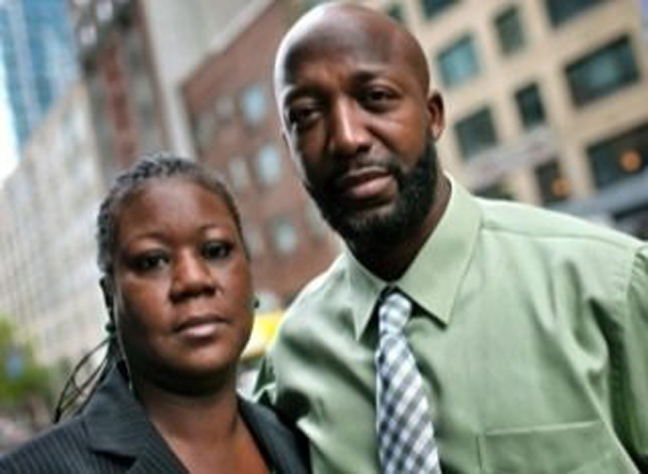 Sybrina Fulton and Tracy Martin, the parents of slain teen Trayvon Martin, have reportedly met with two publishing executives to discuss writing a book. The book would be the first time since their son’s death that the couple publicly recounts his character and share their personal struggles and experiences during the trial of George Zimmerman, according to the New York Times. Zimmerman, 30, was acquitted in July of second-degree murder in Trayvon’s February 2012 shooting death in Florida. He has had several subsequent minor run-ins with law enforcement. One publishing executive told the Times that Martin and Fulton spoke extensively of race and religion during one meeting. Publishers described meetings with Fulton and Martin as “somber” and “moving,” according to the Times report.